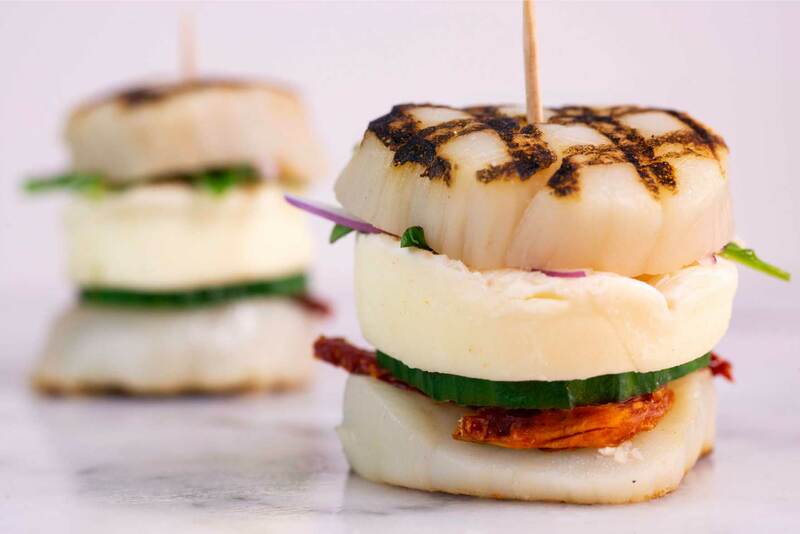 Tender grilled U-10 Scallop slider buns filled with brie cheese, fresh arugula, sun-dried tomatoes, red onion and cucumber, held together with a toothpick. Coat the U-10 Scallops in vegetable oil and season with salt and black pepper. On high heat, grill the U-10 Scallops for about 1 minute on each side. 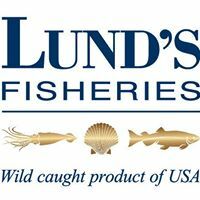 Remove the U-10 Scallops from the heat and cut them in half lengthwise. Top 4 halves of U-10 Scallops with sun-dried tomato, cucumber, a slice of brie cheese, red onion and arugula. Top each half with the remaining U-10 Scallop halves and stick a toothpick through each slider.